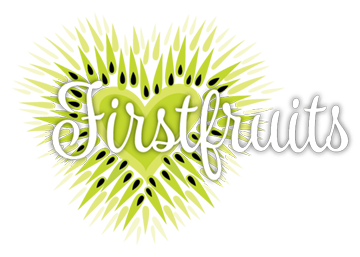 Sunday nights I usually sit down and write the Firstfruits blogs. I was on a roll there for weeks. I couldn’t type fast enough. In fact, I had to see my chiropractor and go for a massage on my upper back and neck ,because of the strain I had put on those areas from sitting at my computer so much. Occupational hazard I guess. But for the last few weeks, I have had writer’s block. My shoulders and neck are happy about it, but I’m not. Every time I would sit down to write I had nothing. It was unsettling. So I prayed, hard. I demanded that the Holy Spirit give me a topic, an insight, a story. Nothing. Then I had a visit. Three women who are affiliated with Contemplative Outreach, an international organization whose primary mission is to spread the teachings of Fr. Thomas Keating on Centering Prayer and Contemplation. After talking to these women and hearing their personal stories of the power of silent prayer to bring us into the presence of God, I realized why I hadn’t had anything to say or to write. I had become very busy doing for God and not being with God. I fell victim to the Martha syndrome. in the necessary tasks, and the not so necessary self-inflicted stress and work we put on ourselves because of our need for perfection, control, or affirmation from others. 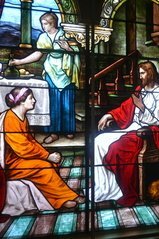 I had unconsciously become Martha and no longer was making the time to sit at Jesus’s feet and listen. I thought I was, but really I was shortchanging God in my prayer time. I was living the Cliff noted version of a prayer life. I found all kind of excuses to avoid giving God the time in prayer that I knew he was calling me to. Lent in particular is a time we are called to prayer. It’s not too late. We are only half way through Lent. I challenge you as I challenge myself to be like Mary. Find the time to listen to Jesus. Fight the urge to “Martha” yourself through the day. I have a feeling you’ll be hearing from me a lot again. Got to go make a chiropractor appointment.